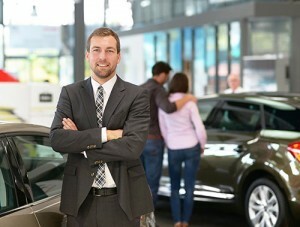 Of all our automotive related services, mystery shopping is the most specific. Goal: to measure the quality of service, compliance with the rules and gather specific information on products and services with the objective of improving customer experience. When customers decide to visit your showroom they expect a level of information and service they can not get online. Therefore it is important to gauge the customer experience through mystery shopping. But not without cautious consideration! To be able to provide a report with a sustainable and foundational character for the future, Fleetexpert follows a strict procedure. First we draft a research model on which all parties must agree. Among others the model describes what information and quality standards our client would like to have investigated. These are then incorporated into the final field research methods. After the visit(s), data are collected, analysed and processed in a report. In most cases this is a quantitative and qualitative comparison with predetermined criteria. Fleetexpert works according to professional and ethical standards developed within the market research industry. So it’s not just about evaluating employees, but rather the overall customer experience one has while visiting your franchise or affiliate. For example, this could include the condition of the buildings and accessibility as well. In short: the image of your brand. Mystery shopping is a very specialised domain and it is absolutely necessary to take a number of sensitivities into account. Please ask for an exploratory discussion where we can focus on the details.